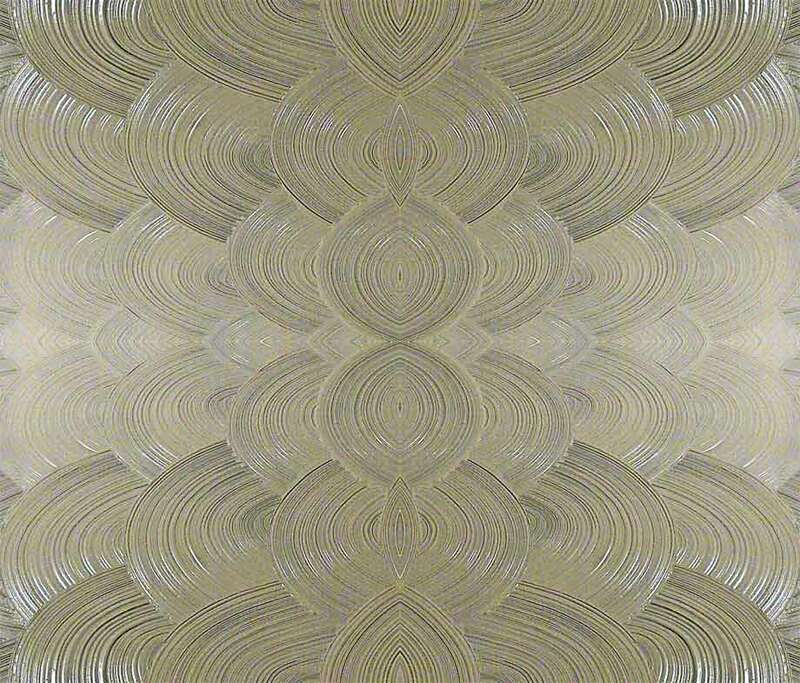 Sheetrock and Repair Tips for Eliminating 100% of the "After-Painting" Touch-Ups! 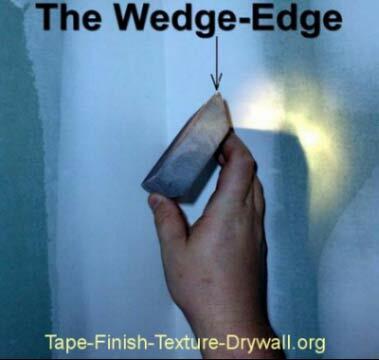 Sheetrock and Repair Tips #1: The Wedge-Shaped Sanding Sponge is the perfect sanding tool! This part of the job is done with a light in one hand, and the wedge-shaped sanding sponge in the other. 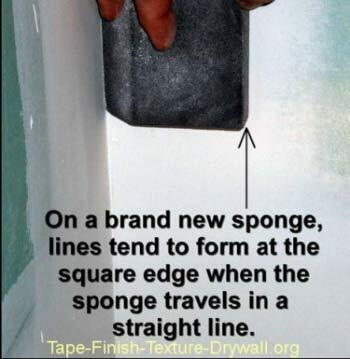 Sheetrock and Repair Tips #2: If youre using a brand new sponge, brush the edge areas of the sponge with sandpaper or another sanding sponge to help break the sponge in. This will help to minimize the problem described in the photos below. 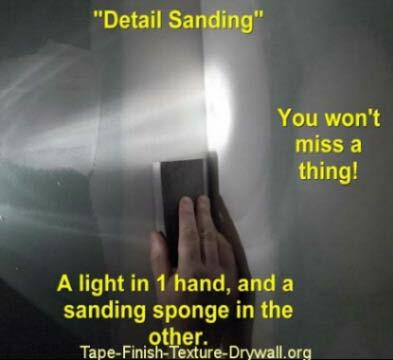 When sanding inside corners, theres no way to avoid moving the sponge in straight alignment. In this case, apply most of the pressure on the wedge-shaped edge, while holding the square-edge away from the wall just slightly. Otherwise, the square edge tends to cut lines into the wall. Use the sharp, wedge-shaped side of the sponge to neatly clean-out the area where the two walls meet. Take your time and be a perfectionist on this part. 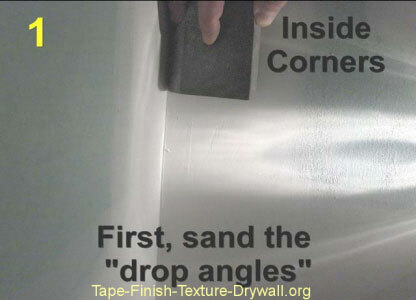 This is your chance to make the inside corners look great. Sheetrock and Repair Tips #3:Youll be using your trouble-light (or flashlight) from here on out, through the rest of the sanding process. Hold the light in one hand, and the sanding sponge in the other. 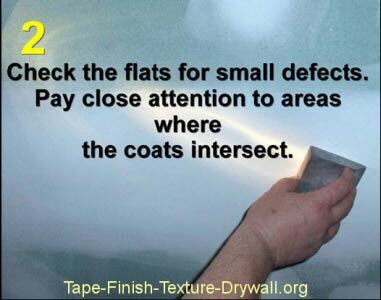 Mark these areas with a pencil so that you know which spots to re-coat. Again, this is FAR easier than grinding away the large defects with sandpaper. Use your light to check all of the areas where the joints intersect. Check all joints and corner bead  one wall at a time. Check the wall-side of all upper angles with the light. Look for depressions from screws, lap marks from coating, or any other defects. A small lip can form at the groove which actually makes the painting easier! Sheetrock and Repair Tips #4: For multiple touch-ups, try placing a few drops of food coloring into a partial pan of joint compound. Mix it in and use it for touch-ups. The food coloring makes the patches easier to recognize when youre sanding these areas, and it wont bleed through the paint. Carefully remove any excess joint compound that has dried in the electrical boxes with a utility knife. DONT TRY TO KNOCK THE EXCESS MUD OUT BY HITTING IT. Youll only damage the surrounding wall and create more repairs. Vacuum the entire work area. Be sure to vacuum out the electrical boxes, and any ledges. This keeps debris out of your paint. When it comes to drywall hole repair, the very best method also happens to be the EASIEST! 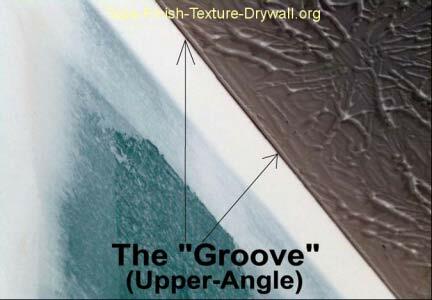 The patched areas will be more RIGID and DURABLE than the existing drywall! Sheetrock and repair tips that include the exact same step-by-step routine used by professionals for sanding drywall. 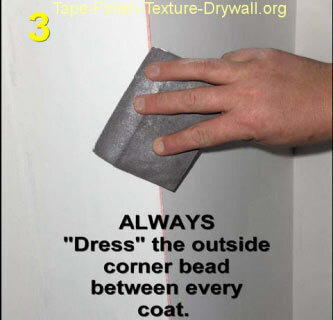 IMPORTANT tips for painting over sheetrock. 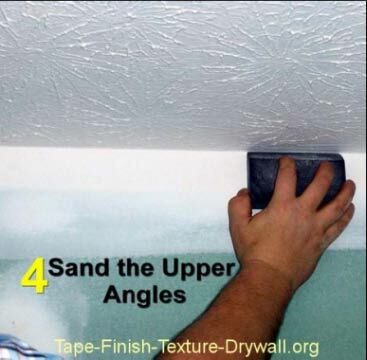 Sheetrock and repair tips covering Stage 1 of the step-by-step sanding routine that I've used for decades. You'll never miss even 1 flaw . Zero touch-ups after painting! Sheetrock and repair tips for eliminating 100% of the "after-painting" touch-ups! Links to IMPORTANT tips for all phases of the job. Painting over sheetrock included!